Still working my way through the shots I took during our trip to Germany last summer. 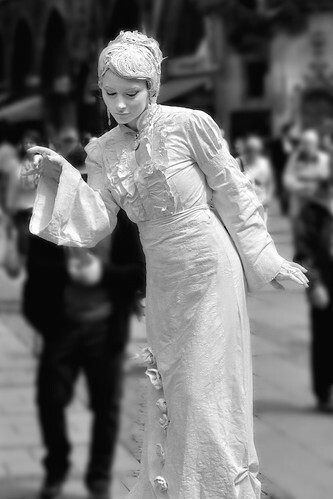 This young woman was a street performer who stood out from the others in the crowd in Munich's Marienplatz. I'm realizing just how far behind I am in my processing, so I'll need to get at it a little more seriously.